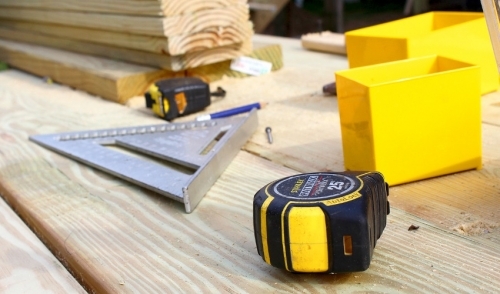 Share "How Your Rental Company Can Help With In Home Projects"
Whether you are new to home improvement or an old pro, there’s one thing that they both have in common: you need to have the right tools for the job. Since the pros use them on a regular basis, it makes sense for them to own their tools. For the homeowner, however, renting may be the better option, since some tools are so expensive or rarely used. According to Good Housekeeping, studies have shown that the average power tool is used for only about half an hour in its lifetime. Had those tools merely been rented for a of couple hours, the homeowners would have saved a lot of money and space. For carpeting, there are steamers, cleaners, and shampooers available. For wood floors, there are a variety of sanders to choose from. Additionally, floor buffers and strippers are available. Airless paint sprayers, textured paint sprayers (hoppers), ladders, and scaffolding can be rented to give your painting project professional results. Whether you’re digging, landscaping, or cleaning up, renting the right equipment can help you get the job done much quicker. Your back will thank you, too. Choose from aerators, brush chippers, trenchers, chainsaws, manual or powered hole diggers, and pressure washers. Why fill your garage up with tools that you’ll rarely use? You can rent a variety of saws, drills, nailers, and sanders. Choose from generators, portable heaters, cement mixers and other masonry tools, drywall lifts, air compressors, and pneumatic tools. You also be doing your part to reduce waste for the environment. Every time somebody rents tools instead of buying, it means one less piece of packaging that will end up in our landfills. Some other advantages of renting over buying are the peace of mind you get when using professional quality, properly maintained equipment. There is also the added value of the pro-tips and knowledge that come from working with an experienced rental company. © 2019 Marv's True Value . All rights reserved.